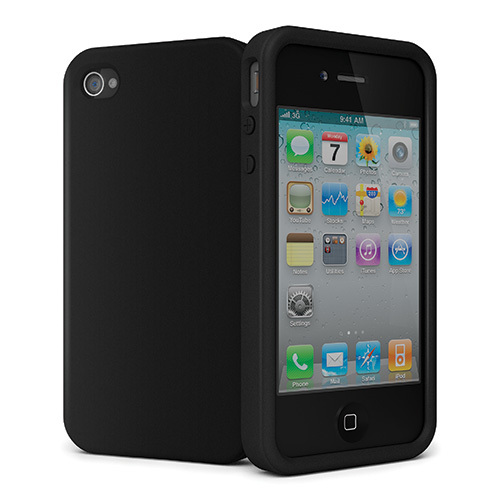 I'll get to the point with the Cygnett SecondSkin II for the iPhone 4 and iPhone 4S. Good idea but bad implementation. The SecondSkin II was designed as a slim fitting case to hug your iPhone like a glove but unfortunately it doesn't hug enough. Another issue is the material of the case which attracts fluff and does start to become dishevelled quite quickly. To compound the situation, once installed, the case is a little flimsy on the right and left hand side of the case which may be the result of the silicon material used to create this case. Interestingly enough, the other iPhone 4 and 4S cases that we have tested from Cygnett are considerably more sturdier. With that said, your iPhone won't fall out but it doesn't feel entirely safe either, especially if it gets caught in your pocket as the product doesn't hug enough. Although I've been quite negative, there are some good things. There is a brilliant screen protector included with the case that is quite easy to install and the texture of the SecondSkin II feels good in your hands, adding additional grip. The case is also slightly raised on the front so if you do drop your iPhone, it will hopefully offer additional protection to your iPhone 4 or iPhone 4S. Another bonus is that you have full access to all your iPhone controls which doesn't hamper usage at all. It also comes with a 2 year warranty which will probably outlive your iPhone. I was a little disappointed with the overall build of this Cygnett SecondSkin II as the texture feels perfect for a case but as a case, it doesn't live up to the expectations of this product. Cygnett do have some great cases but unfortunately this isn't one of them.